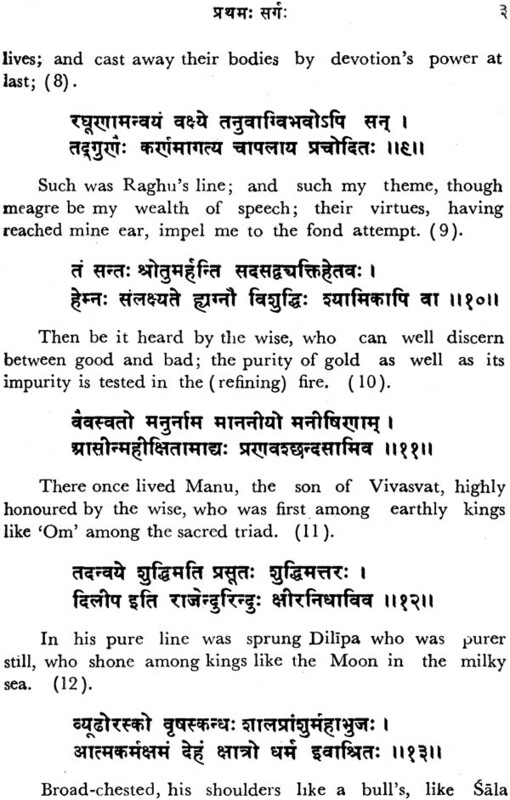 Some are inclined to suggest from the reference to the conquest of the Hunas by Raghu in his Digvijaya, that Kalidasa must have lived after the victory of Skandagupta over the Hunas half a century later than the date suggested. But the evidence has no probative value. 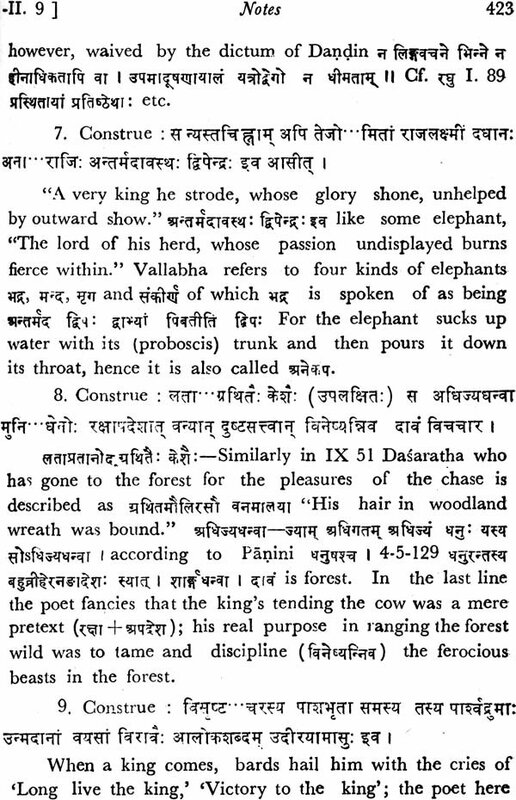 "There is nothing to indicate any reference to reality in this account of the exploits of a king of long ago, and if Kalidasa had lived in the reign of Skandgupta when the fortune of the royal house was evidently tottering to a fall, it would be difficult to understand the calm contentment with the established order which marks all his works." 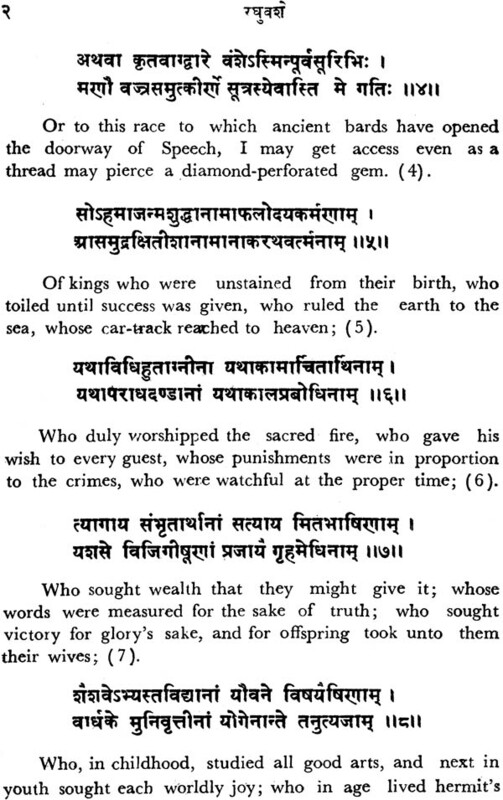 The other view held by many Indian scholars puts Kalidasa in the first century before our era, and makes him a contemporary and a protégé of King Vikramaditya the founder of the Samvat Era - 57 B. C. That there is nothing implausible in the assumption is clear when on the strong testimony of Patanjali's Mahabhasya it has been possible to put back the beginnings of court poetry in general by a few centuries of the Christian Era. 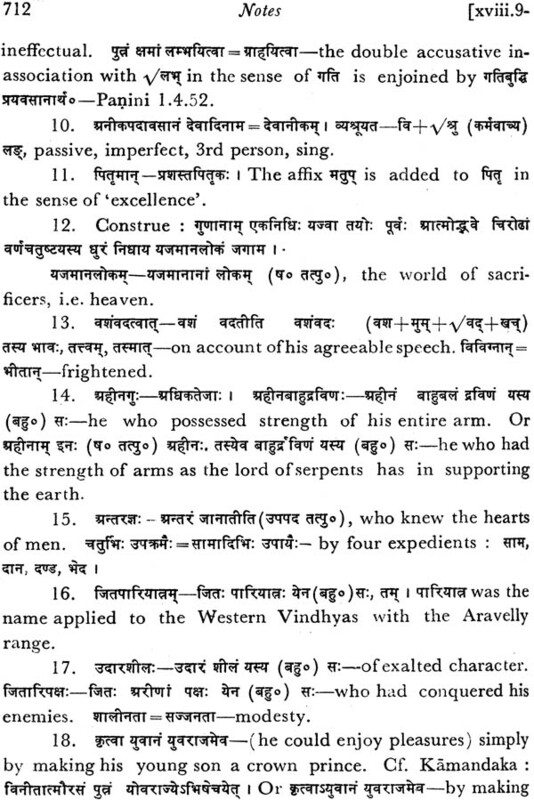 And "Epigraphy not merely confirms the evidence of the Mahabhasya that artificial poetry originated before the commencement of our era, but shows that poetry continued to be cultivated throughout the succeeding centuries." 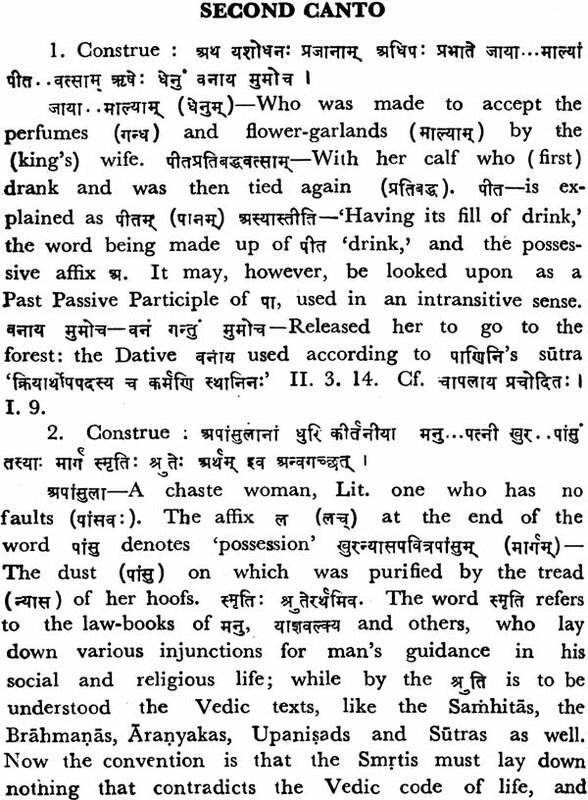 Already in the days of Kaniska (78 A. D.) Asvaghosa wrote his Buddhacarita in the artificial style and called it a Mahakavya. 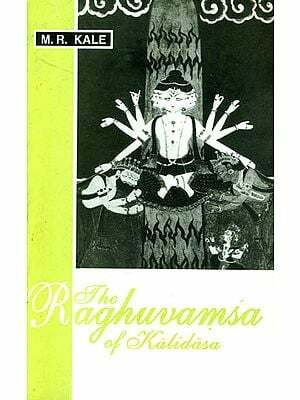 In connexion with this writer it is interesting to observe that there is a striking resemblance between his poetry and the poetry of Kalidasa. Not only is there a close parallelism between a few isolated passages and description, but between ideas and expression fairly distributed over the poem. As Prof. R. N. Apte has observed these close resemblances warrant the conclusion that "one of the poets is using the other." 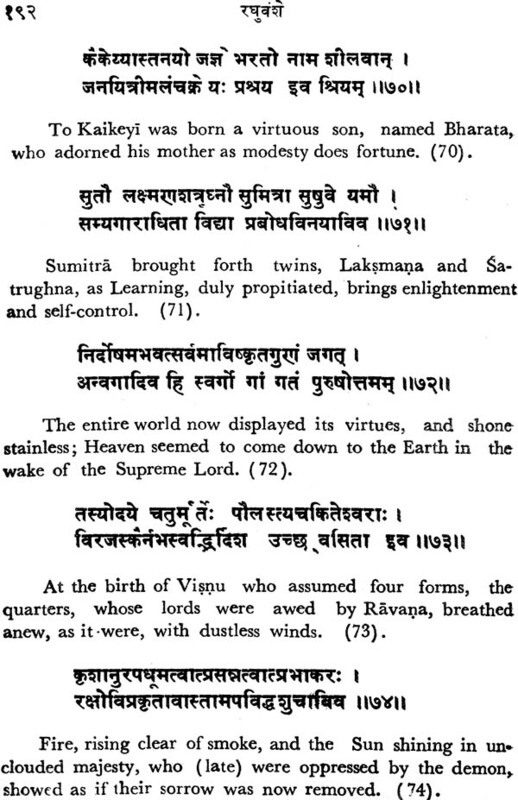 It must be remembered that Asvaghosa is a philosopher first and a poet afterwards; while Kalidasa is an original poet. 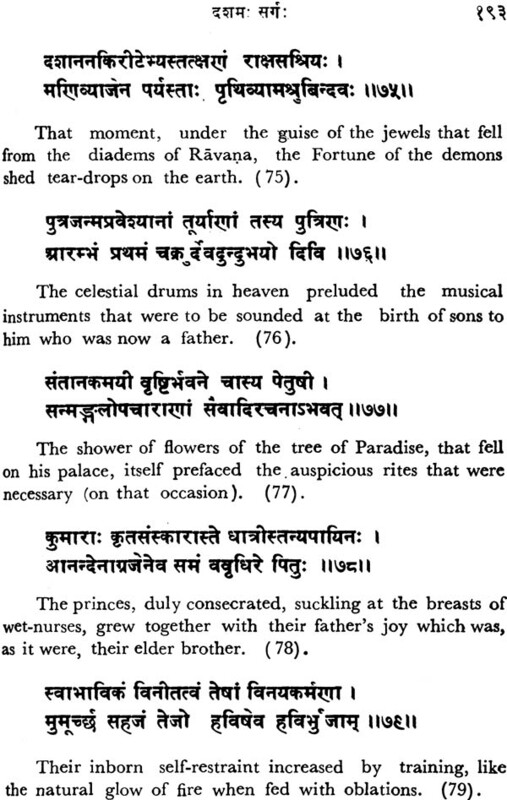 The probability, therefore, is that Asvaghosa is the borrower and Kalidasa is an original. Cowell's theory of Kalidasa's indebtedness to Asvaghosa rests upon the view that Kalidasa belongs to the Gupta period. 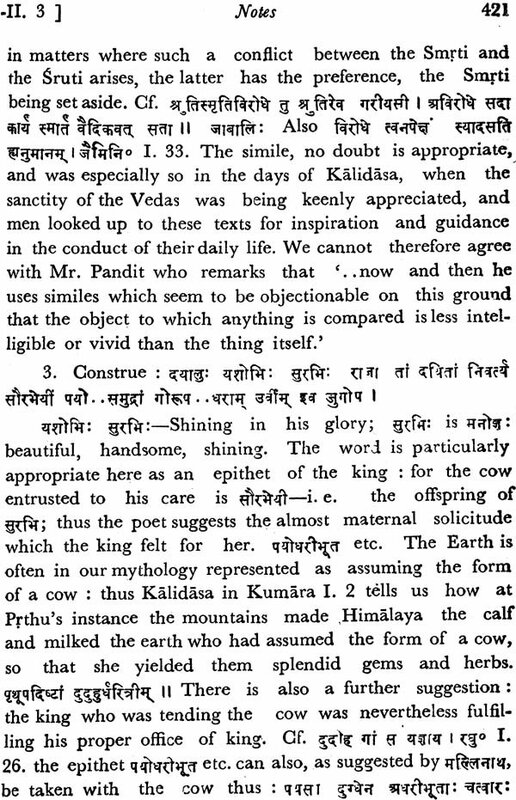 The hollowness of this view, his, however, been shown by Prof. Shembavnekar in an article on 'the Date of Kalidasa' contributed to "the Journal of the University of Bombay" (Vol. I. Part VI. P. 232-246) who points out that the Gupta theory is based on the assumption that Chandragupta II was the first monarch who bore the name Vikramaditya, whereas on the testimony of the Rajput Chronicles and the Kathasaritsagara the first king to bear that appellation was King Vikramaditya of the Paramara dynasty, the hero of countless legends, the ruler of Ujjayini in Kalidasa's day. It is held by many that the title 'Vikramorvasiya' is chosen by the poet in order to glorify and immortalize his patron's name. 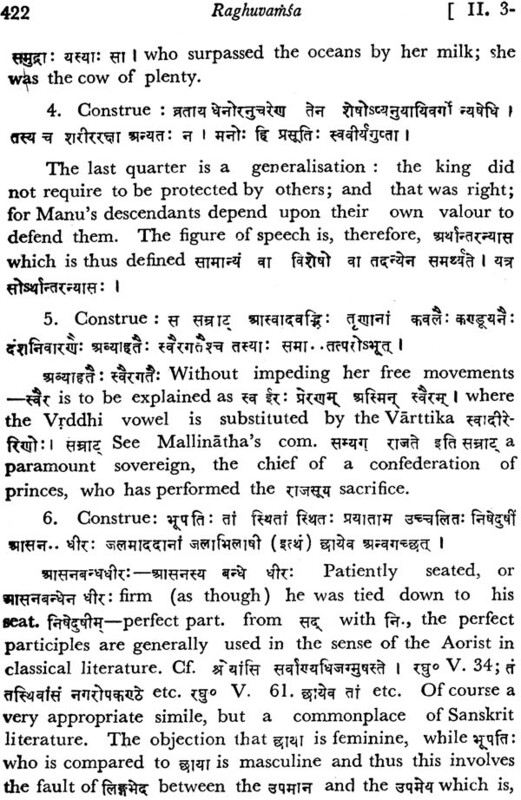 According to Kathasaritsagara the father of Vikramaditya was Mahendraditya. 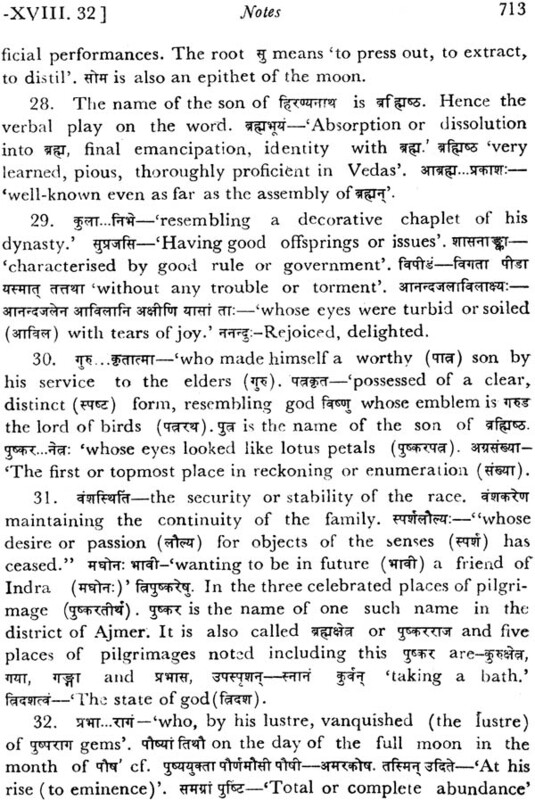 It is curious to note that the word Mahendra as an epithet of Indra is repeated by the poet no less than fourteen times in the play and in one place it is particularly significant to find the names of the father and son linked up: it is possible, as Prof. Shembavnekar suggests, that the play was written at the time of the intended retirement of Mahendra from active life, and the coronation of Vikrama as king (Kathasaritsagara XVIII. 59-60). The last act of the play, therefore, where prince Ayus is installed as the young king is but a poetic reflex of the actual course of events of the times. everything point to his flourishing in the time of Gupta glory" is only a dogmatic assertion. 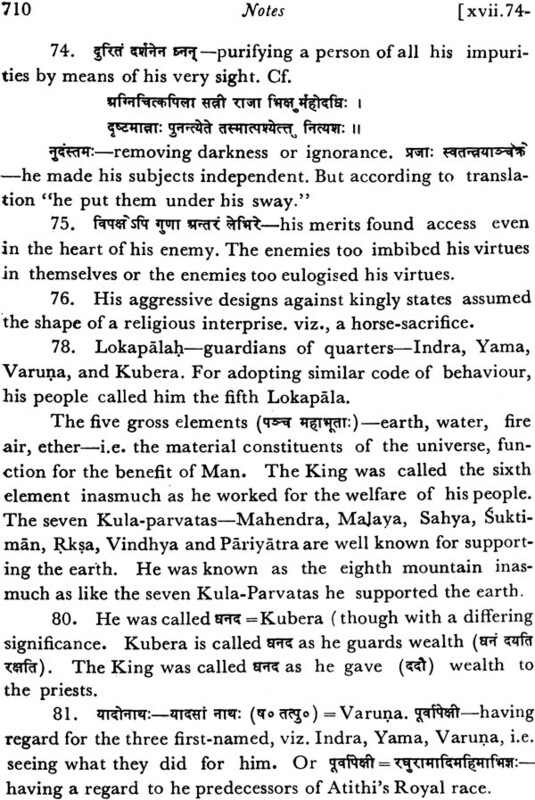 With regard to the astronomical terms, such as the names of the signs of the Solar Zodiac which are supposed to be of Greek origin and on which European critics lay so much emphasis, it has already been proved by scholars like S. P. Pandit, R. N. Apte, that there is nothing to show that they were unknown to the people of India a few centuries before the Christian Era. While the occurrence of un-Paninian expressions and grammatical forms such as in Kalidasa can be satisfactorily explained only on the assumption that he belonged to a time when the Paninian grammar had not obtained a complete vogue. With regard to the external details of the poet's life, we know next to nothing; the numerous legends told about him are but empty figments, and only bear testimony to the greatness and extreme popularity of the poet in the land of his birth. "The truly great stand upon no middle ledge; they are either famous or unknown," But Kalidasa is both famous and unknown. We look in vain in his works or knowledge about the facts of his life. The impression that we gather about him from them is that of a man, deeply learned in literature and philosophy and other traditional lore of the times, and more deeply learned in the book of nature. Ujjayini was the city of his heart and he is delighted to sing of her glories and of the romantic loves of her maidens. He sings of this Gem of Avanti, rich with the storied legends of Udayana and the consecrated past, this radiant bit of heaven, with her lower-sweet balconies, and black-eyed maidens; of the dread shrine of Siva, Mahakala, of her rich gardens and lotus-lakes that send their fugitive sweetness through the dark; and his fondness for the city is so evident in his loving and lingering description of her varied charms that one might legitimately conclude that the poet must have spent at least a part of his life in this city. Further he was a widely-travelled man and was a keen observer of nature-not only of her sublime and wild aspects, but also of her mild and minute manifestations. "Rarely has a man walked our earth who observed the phenomena of living nature as accurately as he, though his accuracy was of course that of a poet, not that of the scientist. 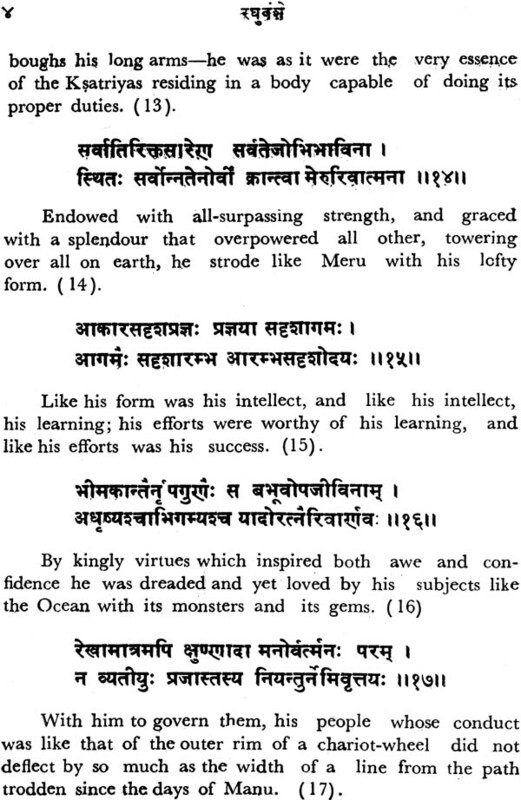 He was essentially an eclectic in his religion and philosophy: for if the Kumarasambhava is distinctly Sivaistic, the Raghuvamsa is no less distinctly Visnuite in tendency; while Vedantic monism or Samkhya dualism, or the active devotion of Yoga equally engaged his regard; so that as Ryder says, "Kalidasa moved among the jarring sects with sympathy or all, fanaticism for none." A pleasing trait of his personality is his modesty which Coleridge recognises as a sure sign of great genius. Above all, his writings are coloured with the suffusion of a charmed equanimity and give the impression of a man who walked the earth with a serene and god-like tread with mind and senses keenly responsive to every form of beauty, and accepting like and the good things it offers in a spirit of sublime acquiescence. Of his seven works which have come down to us, three are dramas, two epics, one a lyrical piece and one a descriptive poem. 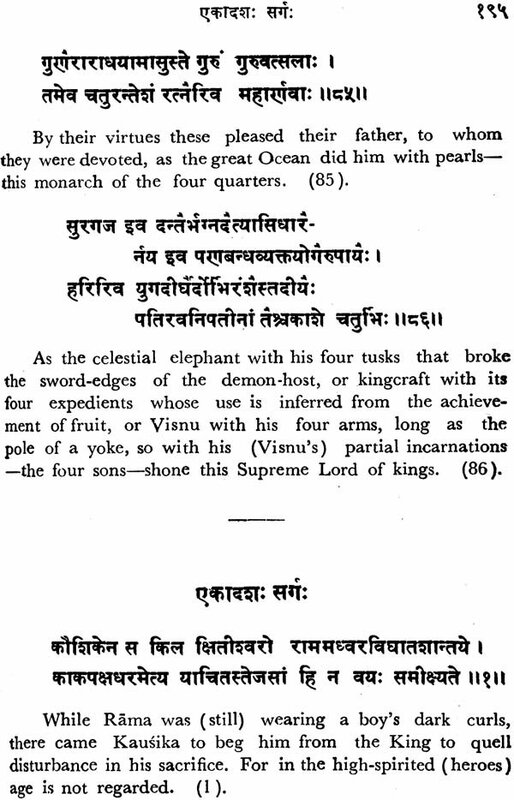 It is possible to fix the chronology of his dramas, the Malavikagnimitra being the composition of his salad days, the Vikramorvasiya coming next, and the Sakuntala composed when he was in the prime of his manhood. 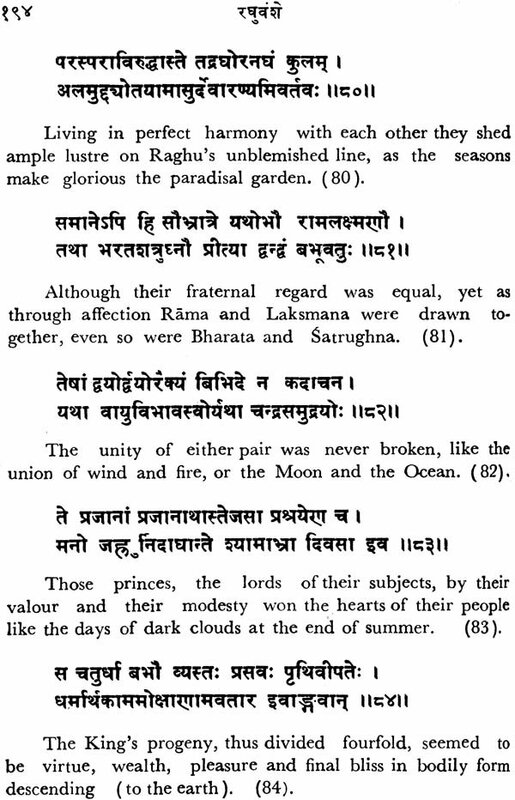 There can be no reasonable doubt that the Rtusamhara was a juvenile piece; while with regard to the two epics Raghuvamsa and Kumarasambhava, opinions differ for whereas the introductory stanzas of the Raghu suggest that it was written before Kumara, the abrupt and undig nified ending of it suggests that the hand that wrote it was cold before it was finished; but then we have to remember the tradition that in its original form it consisted of twenty - five contos, of which only nineteen have come down to us. 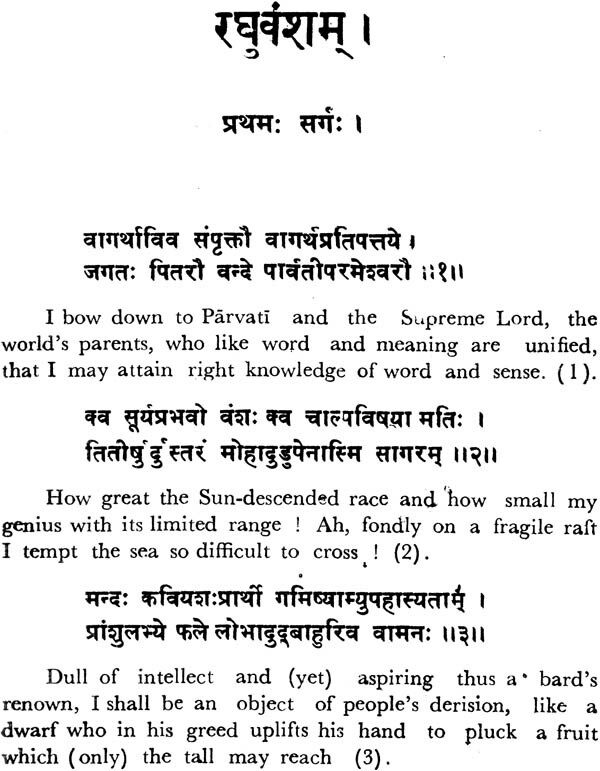 In general it would be only reasonable to assume that the great works on which his fame chiefly rests-the Sakuntala, the Raghuvamsa, the Kumarasambhava and the Meghaduta - belong to a period of his life when his genius had attained to the fullest maturity of its powers.